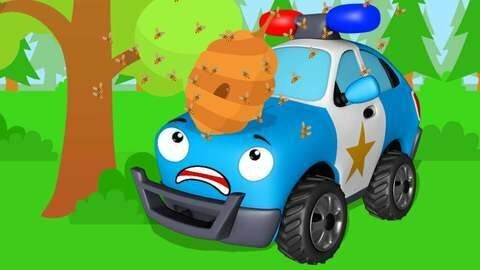 In this hilarious episode of the cartoon about cars, the police car eventually flings down a beehive from a tree. Angry bees take revenge on all vehicles they meet. The poor police car, race cars, and the tractor try to run away from bees. Watch this car cartoon to know if they could escape. Enjoy more car cartoons for kids at SeeZisKids!